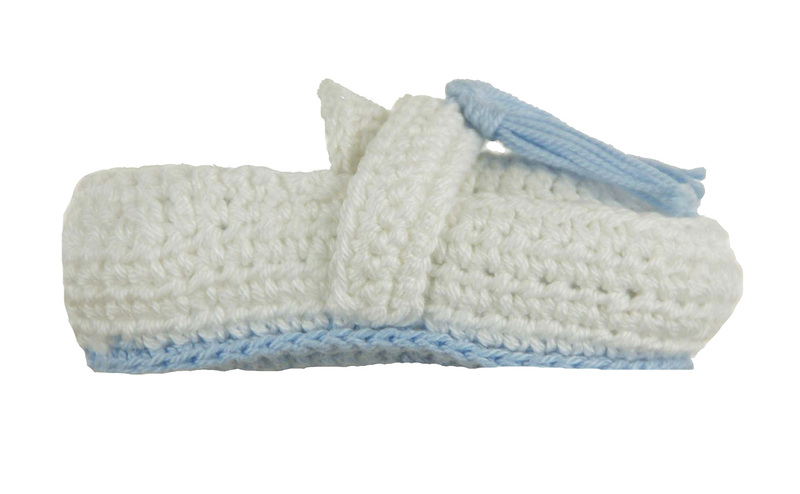 These are the sweetest little blue and white hand crocheted cotton booties! 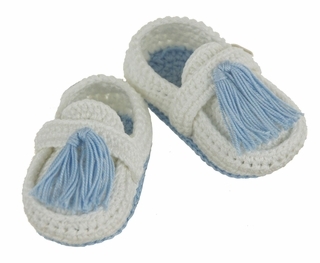 The moccasin style booties feature blue crocheted soles and a blue tassel on the top. 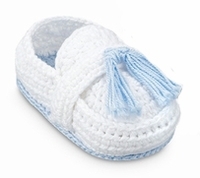 Perfect for christening booties, a baby shower gift or a newborn baby gift!